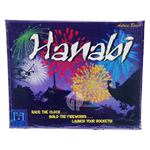 Drake says: "In this cooperative game, players must launch a Grand Fireworks Finale! Trouble is, you can see everyone's tiles except your own!" John says: Beautiful heavyweight tiles highlight this edition of the fantastic cooperative game. Working together, you must give and receive vital information to play tiles in the proper launch sequence. Light them all to create a dazzling display and avoid a fizzling fiasco! 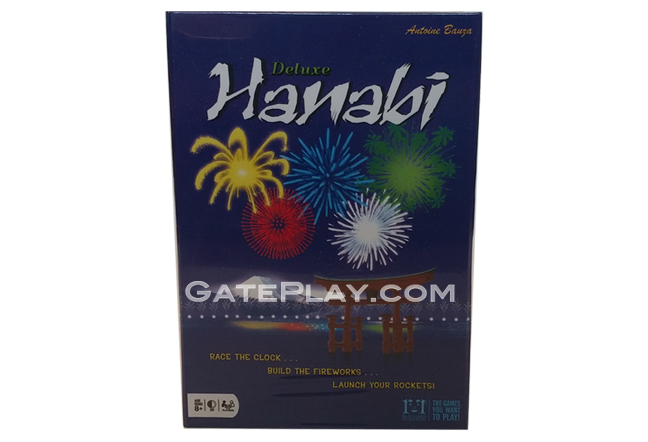 Check out "Deluxe Hanabi" on BoardGameGeek.com!